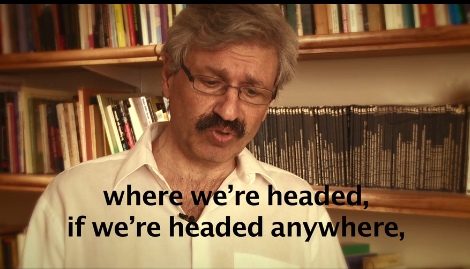 In this episode of the LINEbreak series, co-editors of RIF/t, Loss Pequeño Glazier and Kenneth Sherwood, talk with Charles Bernstein about electronic publishing and the politics of editing the first online hypertext journal of poetry and poetics, RIF/t magazine. Their program was recorded in the Music Department at SUNY Buffalo in 1995. 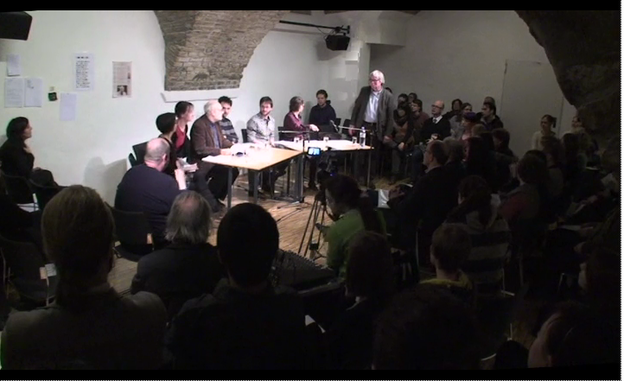 An audio recording of the full program (29 minutes) can be heard here: MP3. 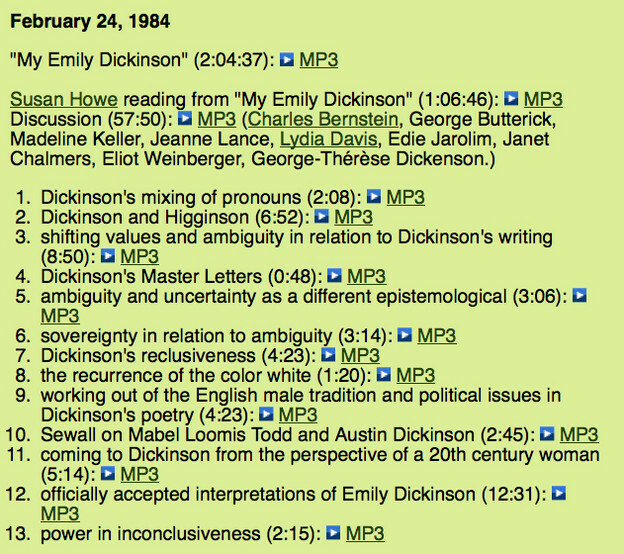 On March 14, 1979, Bruce Andrews and Charles Bernstein visited the studios of WBAI in New York and were interviewed by Susan Howe, host then of the Pacifica Radio Poetry Show. 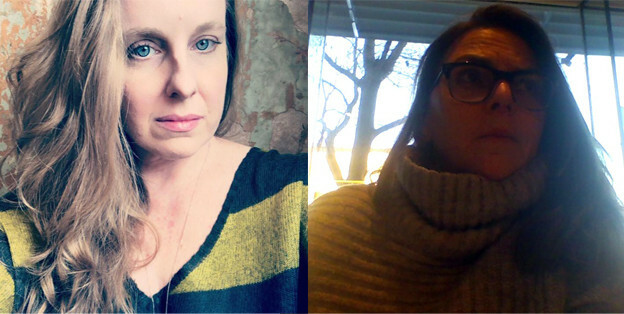 This installment in the PennSound podcast series, introduced again by Amaris Cuchanski and based on editing done by Nick DeFina, features an excerpt from that interview focusing on a discussion of opaque as distinct from transparent language and of language’s materiality. Michael Hennessey on Charles Bernstein's 1976 tapework "Class"
from Michael Hennessey’s “A Life, Spliced: On the Early Tapeworks of Charles Bernstein,” published in The Salt Companion to Charles Bernstein, edited by William Allegrezza, Salt Publishing, 2012. 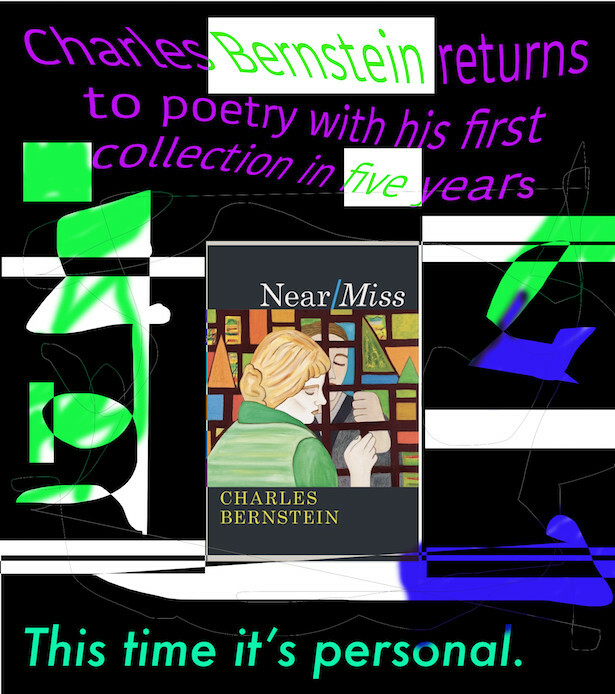 More than thirty-five years after the release of his first book, Asylums, Charles Bernstein is justifiably recognized as one of America’s most influential living poets — a fact attested to by his recent career-spanning collection, All the Whiskey in Heaven: Selected Poems (Farrar, Strauss and Giroux, 2010). 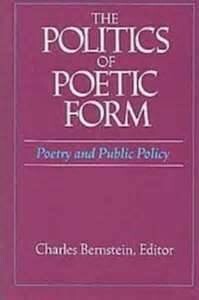 While, as a pioneer of Language Writing, Bernstein has made significant contributions to contemporary poetics, his work as a scholar, editor, curator and pedagogue are perhaps of equal, if not greater, importance, and indeed, all of these discrete facets work together in a complementary fashion to construct his overall aesthetic, which is equally a product of numerous extra-literary cultural interests including music, film, drama and the visual arts. 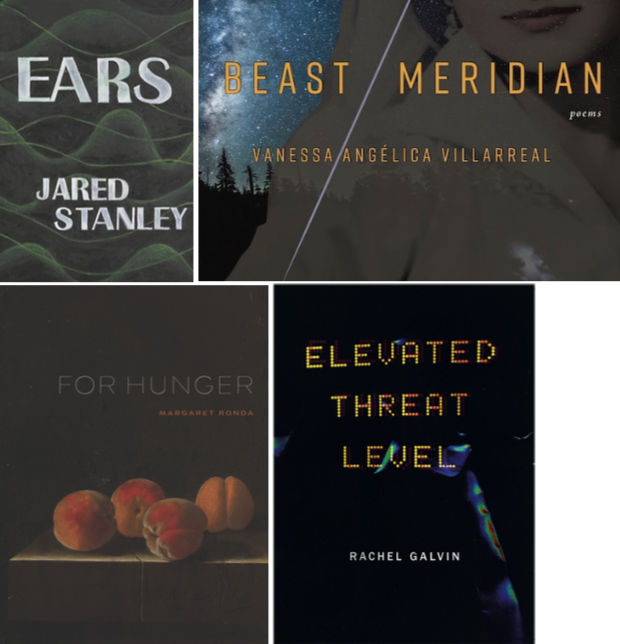 For all their twists and spin, poets like Kamau Brathwaite and Charles Bernstein seem strikingly direct in their politics when compared to Vanessa Place and her poetics of iteration. Where in a work like World on Fire Bernstein clearly attacks the US invasion of Iraq, Place, like some other conceptual writers, seems to reject the idea that we might change the world by transforming our language. Indeed, at times Place takes direct aim at texts that seek a revolutionary change in the social order. 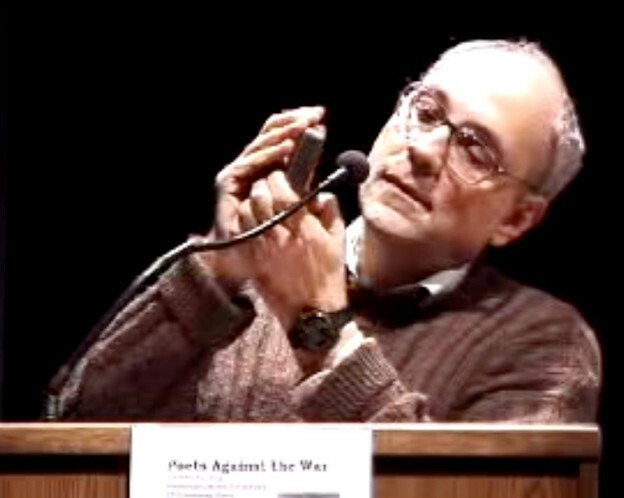 In the essay “The Conspiracy of Us” (first published in 1979, in L=A=N=G=U=A=G=E), Charles Bernstein anticipated a key driver of the iterative turn in contemporary poetry when he described his anxiety about collective identity and action and argued for the revolutionary power of poetry to disrupt the certainty of our collective positions. 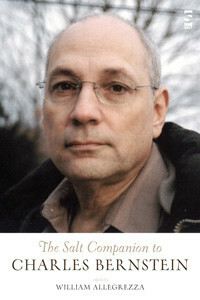 William Allegrezza's introduction to the Compation via Poems and Poetics.